According to Yoga, the human being has different levels of existence: Along with the physical body he also has some subtle bodies as described in the Complete Human Being. Further to the subtle fields mentioned there, he has some other bodies like Bramha Maya Kosa, Nirvana Maya Kosa, Maha Nirvanamaya Kosa and the Aatmika Kosa. This Aatmika Kosa or Aatmic body contains Micro cosmic energy sources such as Soul and its sub sources in human being. Siddha tradition is related to physical level. 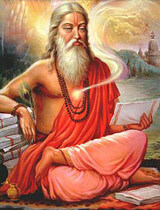 In Siddha tradition, the practitioner attains a state called Deha veda (physical alchemy) by using Rasa (mercury), Upa rasa (animal products), Pashana (arsenic group), Upa pashana (poisons), Kara (nitrate group) and Sara (chloride groups) among other techniques. Achala tradition is related to mind level. In Achala tradition the practioner’s emphasis is majorly on the Mind and they attain a state called Mano veda (mental alchemy) by balancing all the psychological imbalances and by gaining determination power. Mahāsiddha tradition is related to spiritual level. In Mahāsiddha tradition, after gaining the Physical and Mental alchemy states, the practitioner tries to reach the Brmhatva state (spiritual alchemy) through self analysis and Soul realization. Later so many sub traditions emerged from the above three major Yoga traditions. Among the Physical, Mental and Spiritual Alchemy (oneness), the Physical alchemy is the primary one and the Spiritual Alchemy is the superior to all. Selecting different paths in Yoga depends on the state of mind of the person. If one person wants to develop or maintain a healthy body, he can practise physical alchemy in Siddha tradition. 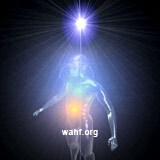 The practitioner can select the Achala path to attain Mind alchemy. And one can follow Mahāsiddha tradition for Spiritual Alchemy. In Mahāsiddha tradition, the practises are related to the Aatmic Body. This tradition possesses practises with the complete knowledge of physical, mental and spiritual levels and includes Asanas, Pranayamas, developing the Chakras in Pranamaya Kosa (Energy Body) and Soul related practises. In this tradition, “Mind” has greater importance. Mind contains several parts like thought, thinking and feeling. In this order, the feelings are more powerful than the others. The Soul however is not within the mind domain, it is beyond the mind. So in order to reach that Soul state, the practitioner has to pass thought, thinking and feeling states. In Mahāsiddha tradition, the main aim is to reach oneness, which can be attained by passing all three states in mind. Reaching a state, which is beyond the mind can be done by awakening the Heart Soul Energy. That state, beyond mind, is the primary stage in Mahāsiddha Tradition.